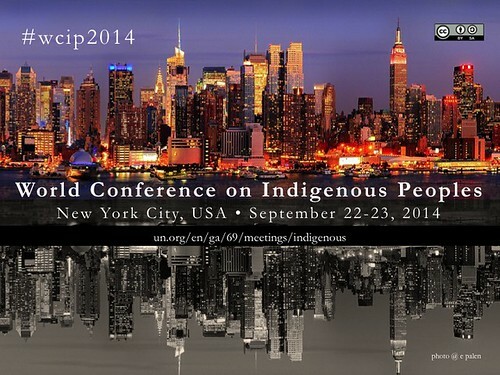 The first World Conference on Indigenous Peoples will be held September 22-23, 2014. The meeting will be an opportunity to share perspectives and best practices on the realization of the rights of indigenous peoples, including pursuing the objectives of the United Nations Declaration on the Rights of Indigenous Peoples. This entry was posted in Announcements, events, indigenous and tagged indigenous, wcip, wcip2014. Bookmark the permalink.